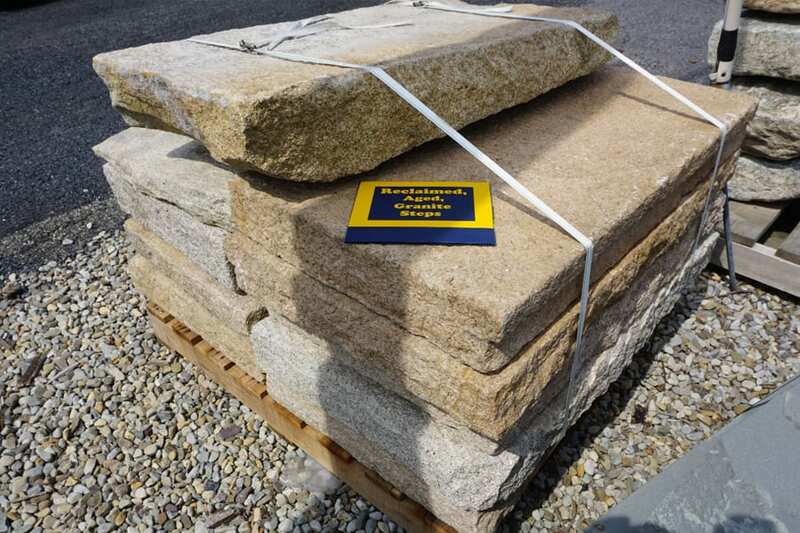 Reclaimed Granite Natural Stone Steps are rock hard granite steps that can vary in color from gray to tan, which are often present on the same step. 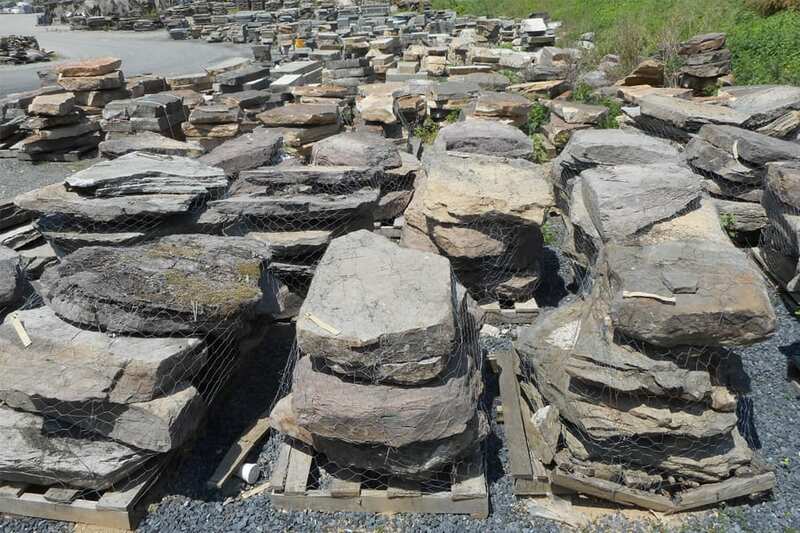 Very easy to work with these are roughly dimensional steps that work very well alone, or incorporated into a stone wall. Beautiful and weathered steps of reclaimed granite. Very dimensional but with irregularities in the finish that give an aged, natural look. 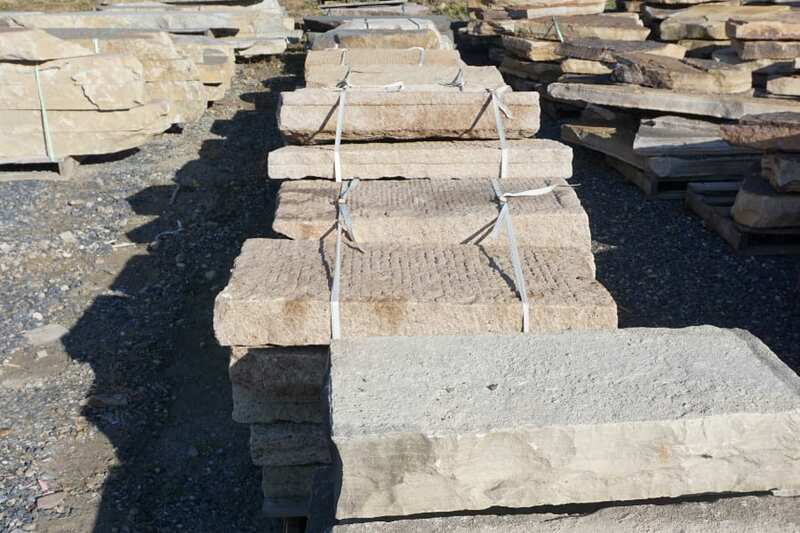 Gray and tan hues dominate but colors are variable from stone to stone. Roughly straight edges with some irregularities that add character. Top and bottom surfaces are slightly rough and not slippery. Most steps have roughly 5" riser heights. Length and width are highly variable and depend on the set. It is not uncommon for each step in a set to be 4 feet wide, 2 feet deep, and 5" tall, but that can vary.